Home / alloy keyboard / best keyboard / gaming / gaming keyboard / hyperx / pc / HyperX released Alloy Mechanical Gaming Keyboard. 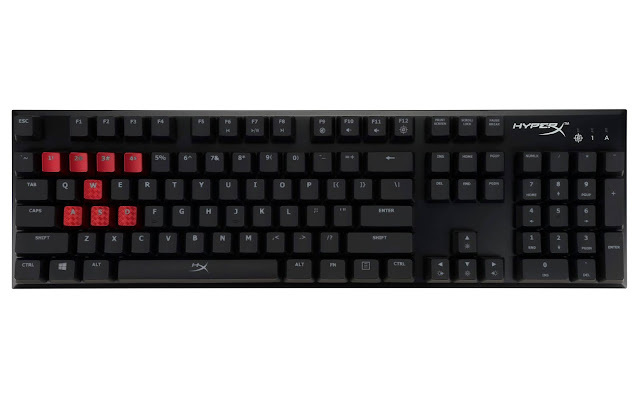 HyperX released Alloy Mechanical Gaming Keyboard. HyperX announced the HyperX ALLOY™ FPS Mechanical Gaming Keyboard is now shipping in Philippines. The full-size mechanical gaming keyboard has a space-saving layout allowing gamer's to maximize desktop real estate for FPS mouse movement. Built with a solid steel alloy frame, the HyperX ALLOY FPS keyboard features Cherry MX Blue Mechanical switches, HyperX red LED backlighting and six preset LED modes – including a custom mode. The keyboard also offers Game Mode to easily disable the Windows key to prevent game play interruptions, along with 100 percent anti-ghosting and full N-Key rollover functionality. For added flexibility and performance. Mesh travel pouch for protection. HyperX is an avid supporter of eSports and the gaming community developing products designed specifically for FPS genres such as the HyperX Cloud Revolver headset, which delivers studio-grade sound stage enabling gamers to directionally target the enemy as well as enhanced comfort and superior quality. Additionally, Alloy FPS is the recommended keyboard of top gaming organizations such as NaVi Gaming, Echo Fox and Hell Raisers. The SRP HyperX Alloy FPS Keyboard will be PHP $5,990 or more or less P300,000. For more information, please visit the HyperX.